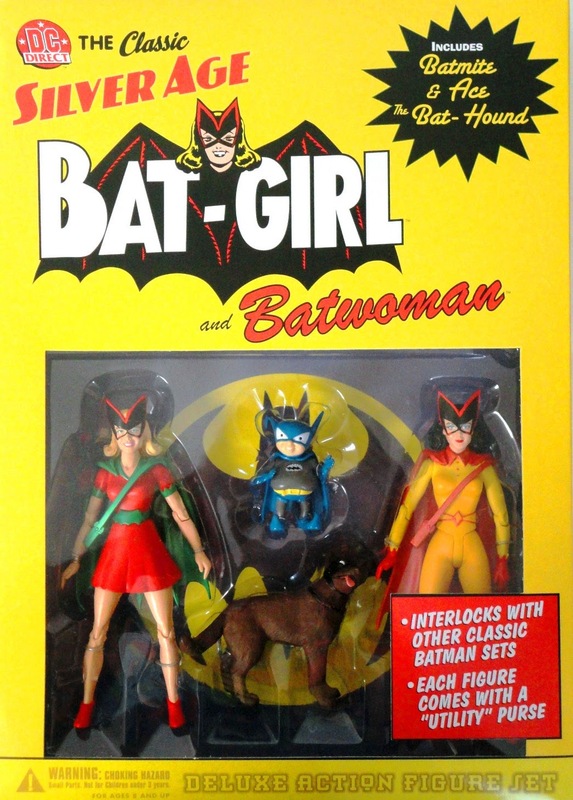 She's Fantastic: DC Direct's Silver Age BATWOMAN (Kathy Kane)! 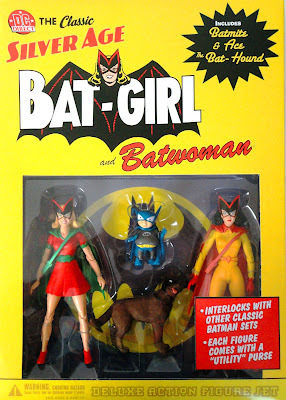 DC Direct's Silver Age BATWOMAN (Kathy Kane)! Predictably following yesterday's review of her niece, Betty, comes Aunt Kathy as Batwoman! I love this character. But that's probably because she's so ridiculous. 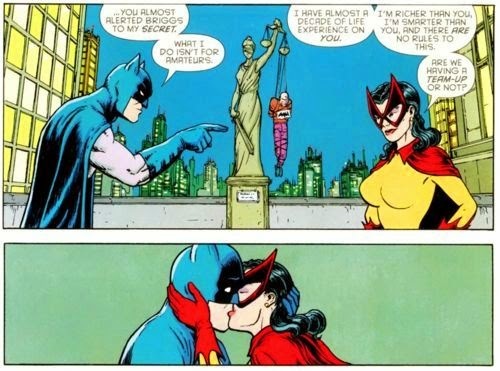 I mean, she wears the brightest costume I've ever seen on a Bat-Family member, her arsenal consists of weaponized hairnets and lipsticks (in her Utility Purse), her motivation to don the costume was that she was wealthy and bored, and her overall presence was pretty clearly just so Batman could have a love interest (and dispel all the Batman+Robin gay rumors scaring parents in the 1950s). Yet I still think she's amazing. 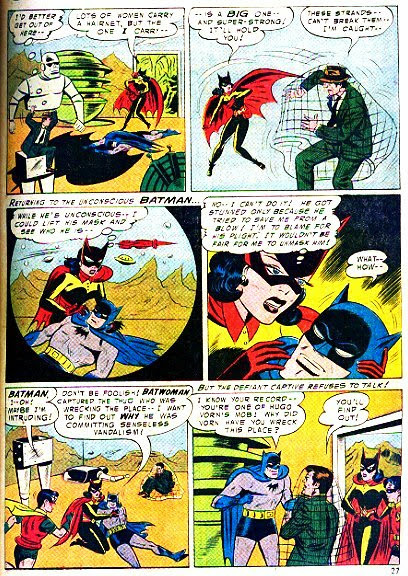 She was the first female hero in the Bat Universe (a genre which just happens to be an obsession of mine). 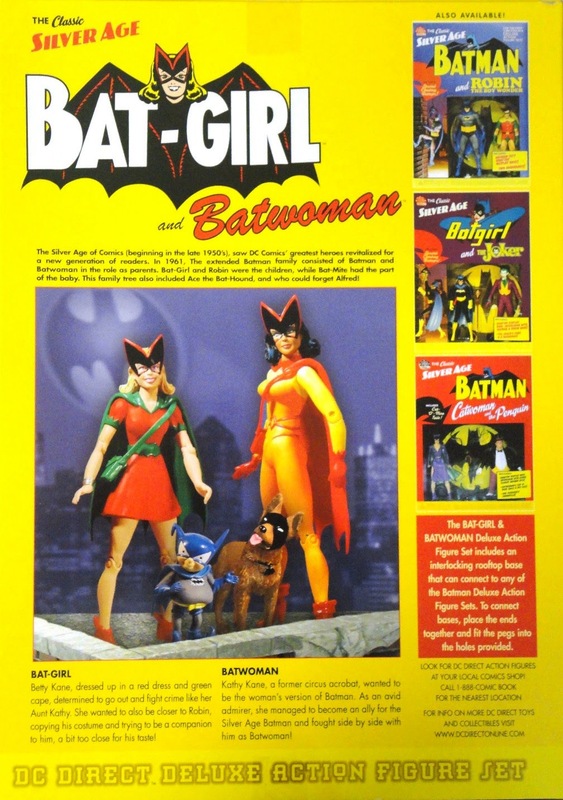 My first exposure to Batwoman was in back issues of Batman Family and Brave and the Bold. In those issues, she was much more serious than her earlier appearances, but the more I backtracked, the campier things got and I was hooked. So glad to have her in plastic. Let's check out this amazing figure below! The deluxe boxset came with pack-in figures of Ace the Bathound and Batmite as well as a rooftop display stand. I feel like I can never say enough about the quality of DC Direct's sculpts. Can you imagine if Mattel attempted this character? 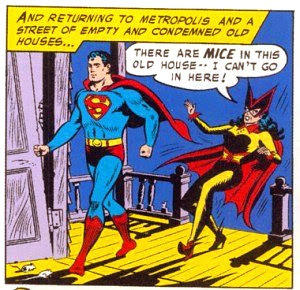 Don't get me wrong, I would love a DCUC version of Kathy, but at the same time I know she would kind of look like a prostitute. Karen Palinko's sculpt here perfectly captures the wholesome 1950's retro feel of the character. Stunning. I've read lots of rumors about this character being styled after (and possibly named after) Bob Kane - the creator of Batman's wife. But verification of that has proved fruitless. 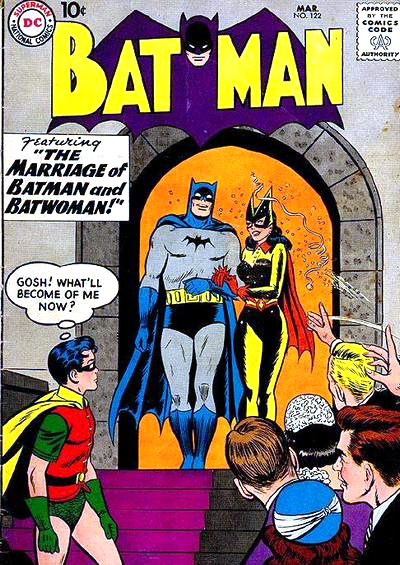 He was married to an Elizabeth (maybe Betty aka Bat-Girl? ), but from the pictures I've seen she doesn't seem to be an inspiration for Kathy here. 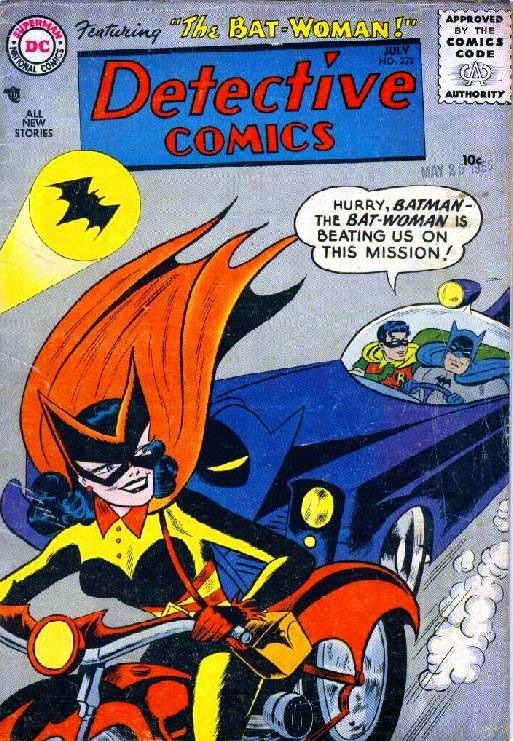 Here are a bunch of images of Batwoman from over the years. Time for some Comparison Pics!